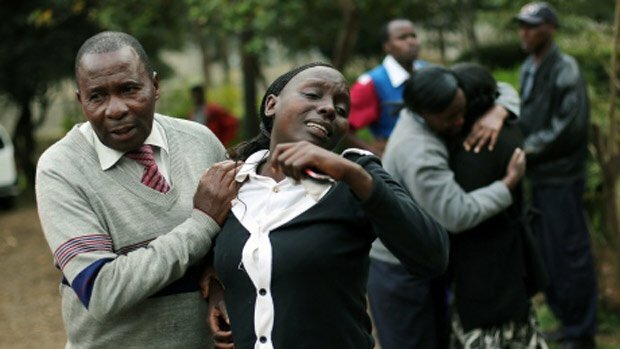 Kenya has declared three days of national mourning following the end of the four-day siege by Islamist militants on Nairobi’s Westgate shopping centre. President Uhuru Kenyatta said 67 people died, including six security personnel. Five militants were killed and 11 suspects arrested, he said. Islamist group al-Shabab, which claimed responsibility for the attack, said 137 hostages had died. But the statement cannot be verified. As the clearing of the mall continues, the death toll is expected to rise. In his address, President Uhuru Kenyatta praised the response of ordinary Kenyans, calling it exemplary and overwhelming. “We have ashamed and defeated our attackers,” he said. “Intelligence reports had suggested that a British woman and two or three American citizens may have been involved in the attack,” said Uhuru Kenyatta. According to the UK Foreign Office, one British national had been arrested in Nairobi, without giving further details. At least 18 foreigners are among the dead. About 175 people were wounded, including 62 who remain in hospital. Somali Islamist group al-Shabab said it had carried out the attack in retaliation for Kenyan army operations in Somalia. Twitter posts from al-Shabab on Wednesday said it had held 137 people hostage, and claiming they died at the hands of the security forces at the end of stand-off.